Paul Newman had famously blue eyes—rumored to be the result of some special French eyedrops—and a smirk of a smile that took the place of a lot of unnecessary dialogue. 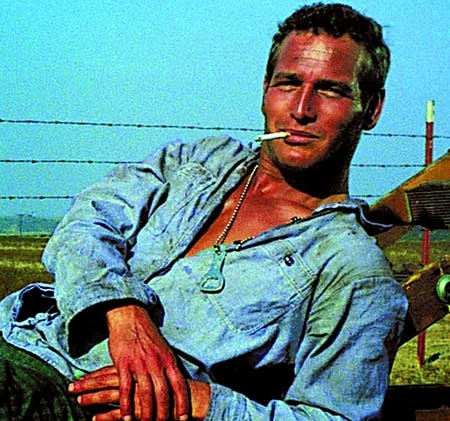 That certain smile is out in force in Cool Hand Luke, the 1967 classic based on the novel by Donn Pearce. The story of a war hero who gets sent to prison after a night of getting bombed and unbolting an entire blocks' worth of parking meters; it's clear right from the start that Luke is an outsider who refuses to tow the line. Through the actor's very skillful use of that disdainful half-smile, we know Newman's Luke is his own man. Not only does he have no use for the cruel prison guards, he doesn't have much use for a fellow prisoner, played by George Kennedy, who throws his weight around either. While initially at odds, Dragline (Kennedy) and Luke ultimately bond, Luke earning Dragline's respect by refusing to give in when the much bigger man out-punches Luke in a fight. 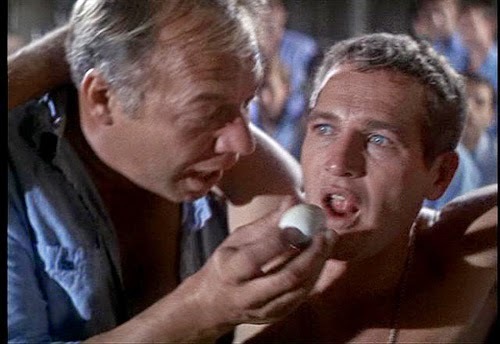 There are so many memorable moments in Cool Hand Luke: Luke eating those fifty eggs on a bet and Newman's distended stomach looking like all those eggs really were in his belly; the iconic line "What we have here is a failure to communicate" and the blonde bombshell who teases the prisoners by washing her car and getting everything all wet. Newman was nominated for Best Actor but lost to another great actor for his performance in one of the following four masterpieces from 1967. 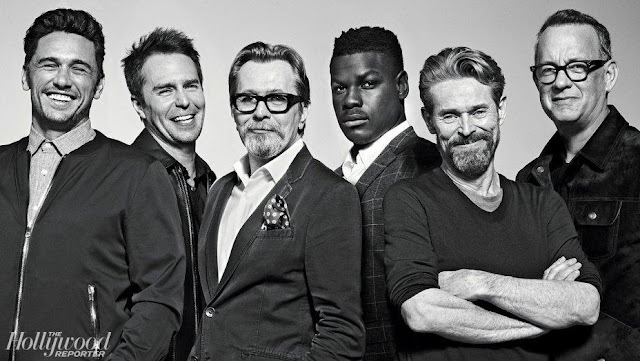 It was a very good year! 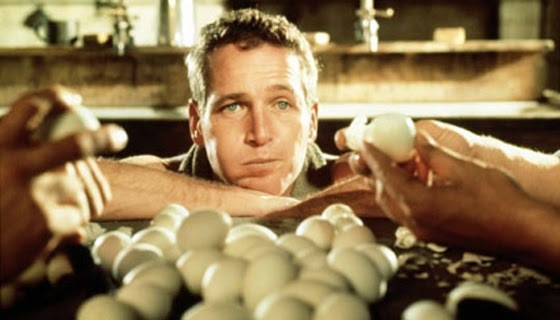 #ThrowbackThursday question:Who did Paul Newman lose out to? Scroll down, way down, for the answer. 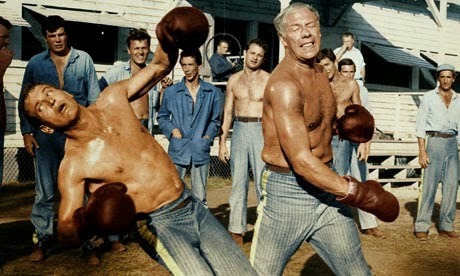 George Kennedy was also nominated for an Oscar, for Best Supporting Actor, which he ended up winning. You've got to love the technology that allows us to cruise through our streaming options to screen an explosive classic like Cool Hand Luke any time we want. CHL is available to stream on Amazon Instant, GooglePlay, and VUDU for less than $5 a pop. 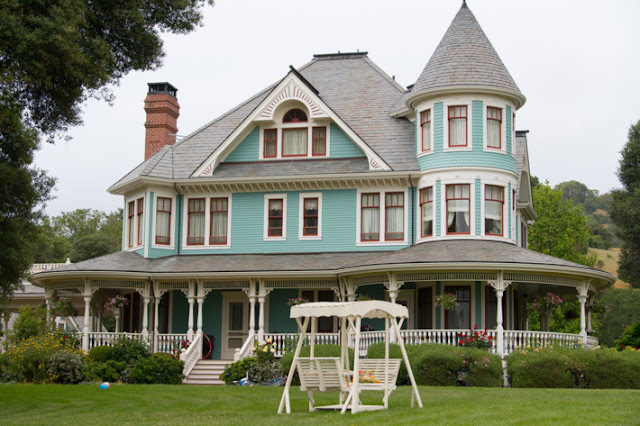 Scroll down for the trailer ... and to see who won the Best Actor Oscar.